California State Parks is developing a Public Works Plan for Oceano Dunes SVRA and Pismo State Beach. Information about the Public Works Plan and documents related to the plan process is available on the Public Works Plan web page. Oceano Dunes SVRA limits the number of OHVs allowed in the park at any point in time. This may have the greatest impact to Day Use visitors. There is a strong possibility we will be unable to sell Day Use passes to visitors who bring an OHV, especially during peak periods such as holidays and summer weekends. We strongly encourage you to make camping reservations in advance in order to enhance your recreational experience. 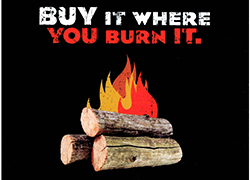 If you have any comments or questions, please send an email to ohvinfo@parks.ca.gov. Welcome to Oceano Dunes State Vehicular Recreation Area! Camping is allowed south of Post 2 on the beach and in the open dune area. Vault toilets and chemical toilets are provided, and water-delivery and holding-tank pump-out services are available on the beach. Campsite reservation information can be obtained by calling 1-800-444-7275. Campsites are available by reservation year-round and can be made from 48 hours up to six months in advance. Reservations are highly recommended (especially for holiday periods). High tides, heavy rains, and blowing sand determine whether or not you can drive down the beach without getting stuck. Access to the OHV and camping area may be restricted periodically by Arroyo Grande Creek which is subject to water releases at Lopez Dam and increased flow during winter storms. Beach camping is recommended for 4- wheel drive vehicles only. A dump station, located on Le Sage Drive, 1/10 miles North of Grand Ave. on Hwy 1, is available to campers. In case of an emergency, contact a Ranger or dial 911 from a cell phone and advise that you are at Oceano Dunes SVRA. An emergency solar-powered call-box is located at the entrance to Sand Highway at approximately Post 4-1/2. Do not move an injured person unless he is in immediate danger. Drop your tire pressure, but don't go below 15 lbs PSI. Dig out the sand from around your tires. Recruit some friends and ï¿½ keeping the front wheels straight ï¿½ push and drive your vehicle either forward or backward. Don't allow your wheels to spin, this will dig you in deeper. Beach towing is available if needed. Dangerous currents, called rip currents, are caused by the combination of wave action and the shape of the shoreline. Should you become caught in a rip current while swimming, don't try to swim against the current. Swim parallel to the shore until you're out of the rip. Then make your way to shore. There is lifeguard service available at Oceano Dunes SVRA June through Labor Day. All OHVs must be registered through the Department of Motor Vehicles and display a current green or red sticker. Funds generated from OHV registration are used for acquisition, development, and operation of OHV areas. Driving an OHV can be an exciting, yet dangerous, adventure. You can minimize your chance of injury and maximize your enjoyment through common sense, intelligent vehicle operation and by extending courtesy and respect to other riders. It is recommended that all ATV operators take part in a formal safety training course under supervision of a certified ATV instructor. Such training is mandatory for those under 18. Proper riding equipment is essential to the safe operation of an OHV. Each ATV rider must wear a helmet and should wear proper protective clothing. Before starting out, familiarize yourself with the terrain. Learn to recognize the telltale signs of a slipface. AVOID SURPRISES. Inexperienced riders should thoroughly acquaint themselves with all vehicle controls before starting out. Be especially cautious when driving east in the dunes because dune slipfaces normally face to the east. Drive within the limits of your ability. Don’t go faster or climb higher than you can safely handle. Watch out for other riders. When in doubt, take time to think and look the situation over before you proceed. On major holiday weekends, the ranger staff is supplemented by volunteer groups such as the Sheriff's Search and Rescue and the Equestrian Mounted Assistance Patrol. All of these people are prepared to offer help and information to visitors. On most holiday weekends a mobile ranger station is located at the Sand Highway entrance. Indian and Indian settlements were noticed by the early Spanish maritime explorers who sailed up the California coast, but the first European explorers to actually travel through the dunes area were members of Don Gaspar de Portola's overland expedition of 1769. In September of that year, just after crossing the Santa Maria River, Portola's men killed "un oso flaco" — a skinny bear. The lake at the southern end of the park takes its name from this incident. During the 1930s and 40s, the dunes were the home of a group of free thinking people including mystics, nudists, artists, writers, and hermits who identified themselves collectively as the "Dunites." Among other activities, the group published a magazine, which they called The Dune Forum. The Dunites believed that Oceano Dunes was one of the centers of creative energy in California. Seek out the solitude of the dunes and perhaps you too, will feel these creative forces that the Dunites talked about. The Oceano Dunes area is home to a surprisingly wide range of plant and animal life. Those who take the time to explore will see wildflowers, the tracks of countless small mammals and insects, a variety of small birds at the water's edge, and hawks, owls, pelicans, or gulls flying overhead. Many kinds of shorebirds can be found on the beach, while other small birds such as the Audubon warbler, or the long-billed marsh wren, as well as red-tailed hawks and American kestrels are often sighted among the sand dunes. Both the threatened snowy plover and the endangered California least tern nest within the SVRA. During the March 1 - September 30 breeding season, small fenced enclosures are constructed around the nests to protect these birds and their offspring from the surrounding recreational use. With ongoing support from OHVers, this nesting program has been a huge success. Most of the wildflowers, shrubs, and grasses that can be found on the dunes are fragile and easily destroyed. Plants that are native to the area include the arroyo willow, California sagebrush, sand verbena, and bush lupine. European beach grass is an introduced species, brought in around the turn of the century to stabilize the dunes. Rare plants that may be seen here include surf thistle and giant coreopsis. Clammers must have a fishing license and an accurate (rigid) measuring device in possession. Only Pismo clams at least 4 1/2" in length may be possessed. Undersized Pismo clams must be immediately reburied in the area where dug. Bag limit is 10 Pismo clams. Hours of clamming are 1/2 hour before sunrise to 1/2 hour after sunset. 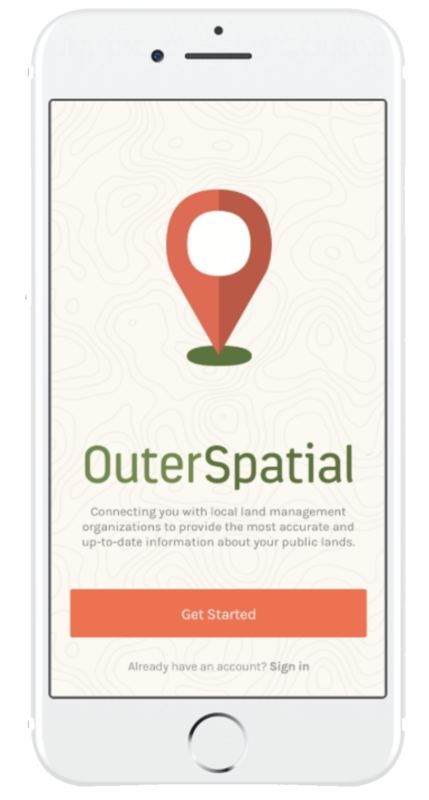 For more information on the pilot program and to download the app directly from the Apple store, visit OuterSpatial.